The Daedong Credit Bank (DCB) wishes to issue an urgent correction to the false stories that have recently been published by some sections of the media, concerning a deposit for cash made with its correspondent bank the Golomt Bank of Mongolia. On the 21st of February 2006, DCB’s designated couriers transported a cash deposit to Mongolia. This consisted of USD1 million and JPY20 million; the couriers were met, as previously agreed, by Golomt Bank officials together with local police at Ulaanbaatar International Airport. The couriers were then detained by Mongolian intelligence agents who took them, and the cash, to the Bank of Mongolia (central bank); the couriers were accused of importing counterfeit currency. DCB’s couriers were detained outside the Bank of Mongolia overnight, whilst the Mongolian intelligence agents claimed to be checking the authenticity of the cash. The next day the Mongolian intelligence agents alleged that approximately USD70,000 was suspected to be counterfeit; the alleged fakes were sent, together with two additional notes randomly taken from each remaining USD10,000 bundle of cash, for further examination at an unspecified location. On the 22nd of February the Mongolian press carried false reports, based on a leak, that “North Korean diplomats had been intercepted smuggling USD1 million and JPY200 million (not JPY20 million) into Mongolia”. These reports were subsequently carried by international news agencies. DCB dispatched its Treasurer, and subsequently General Manager (Nigel Cowie – who is also a director of Phoenix Commercial Ventures Ltd www.pcvltd.com), to Mongolia to protest this action and demand the return of its funds. On the 6th of March, after holding the cash for 13 days claiming they were still checking it, Mongolian intelligence officials in a meeting with DCB representatives finally conceded that all the notes were genuine; the cash was released. The money was deposited with the Golomt Bank of Mongolia on the 10th of March, as had originally been intended. Daedong Credit Bank is concerned that the seizure of the funds, and the subsequent leaking of false information and innuendo to the media, damaged the reputation of both Daedong Credit Bank and the Golomt Bank of Mongolia; Daedong Credit Bank wishes to ensure that the false and misleading reports over this incident are corrected without delay. Daedong Credit Bank would also note that that the designated couriers carry diplomatic passports, as arranged separately by the Democratic People’s Republic of Korea (DPRK) authorities, as an added security measure. Any other inference drawn from this is false and misleading. Daedong Credit Bank also emphasises that, having been checked by the Mongolian authorities, the notes were proven to be genuine. The funds were the proceeds of legitimate business activities by DCB’s known foreign customers, and DCB followed all the laws and procedures required by Mongolian authorities for such cash deposits. Daedong Credit Bank is also happy to give its views on the freezing of its balances with Banco Delta Asia. Daedong Credit Bank is a joint venture retail bank based in Pyongyang. It was established in 1995 as “Peregrine Daesong Development Bank”. The Bank underwent a change of name and foreign ownership in 2000. DCB anticipates an important announcement, in the first half of 2006, concerning it ownership; once that has been finalised it will proudly celebrate its tenth anniversary. 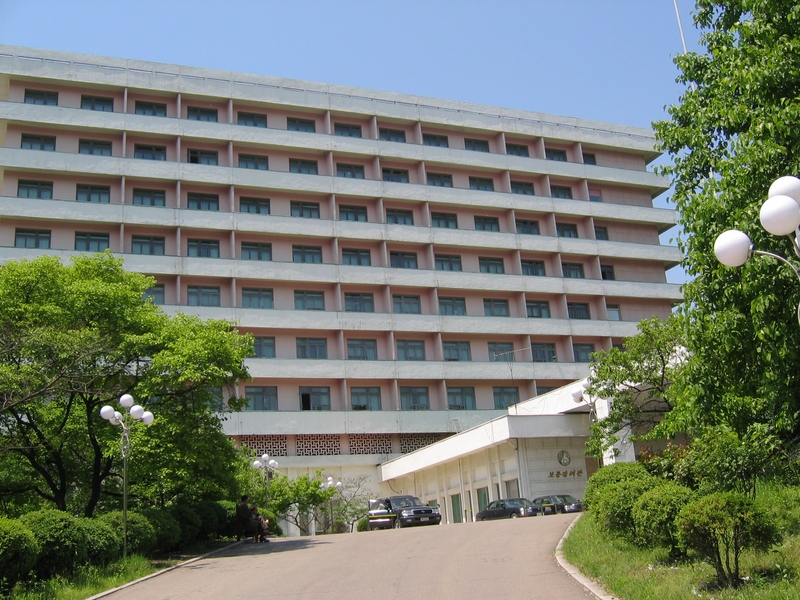 Daedong Credit Bank is the first, by ten years, foreign majority held bank in the DPRK. DCB considers itself a flagship successful joint venture in the DPRK, and a key part of the infrastructure needed to assist the foreign-invested ventures, which drive the country’s economic reforms. Daedong Credit Bank also maintains strict procedures for the detection and rejection of counterfeit bank notes; it uses regularly updated note checking machines, and has personnel with over 10 years’ of experience of handling notes. DCB have encountered and impounded the so-called ‘superdollar’ notes, proving that these notes (despite media misconceptions) are not undetectable. Subsequent to the designation by the U.S. Department of Treasury’s Financial Crimes Enforcement Network (“FinCEN”) division of the Banco Delta Asia SARL Macau (one of DCB’s main correspondent banks) as being a “primary money laundering concern”, DCB opened new accounts with other correspondent banks, including the Golomt Bank of Mongolia. A copy of DCB’s anti-money laundering procedure manual was provided to Golomt Bank of Mongolia, together with other documentation, relating to logistics and security procedures for handling cash. These matters, together with customs clearance declarations, were discussed at length and agreed with them. Daedong Credit Bank has a significantly strong position in relation to the future economic development of the DPRK and, being the oldest established foreign invested commercial bank in the DPRK, it is the intention of the bank to capitalise on these advantages.